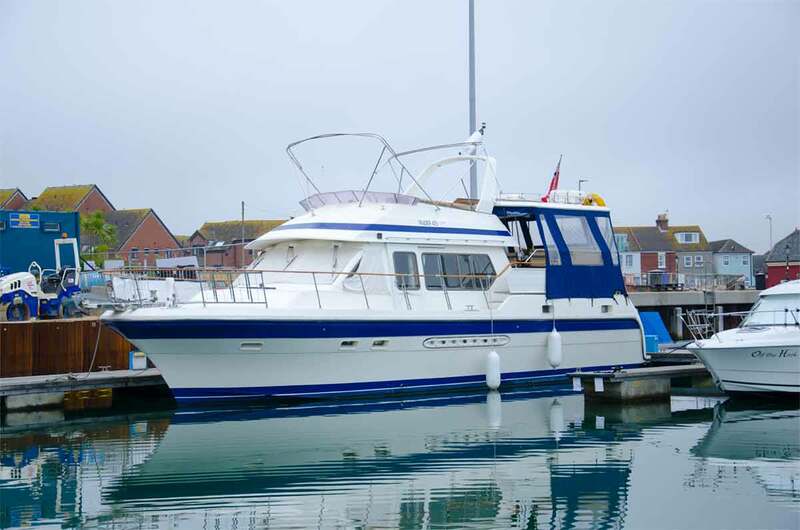 This 50ft Trader is available for skippered charter. 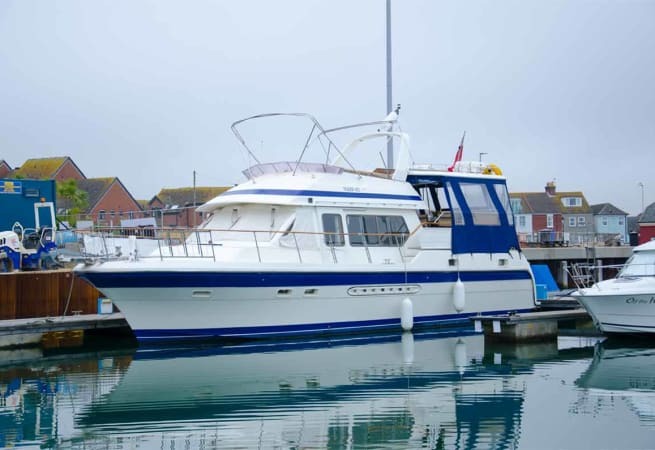 We offer boat trips and stay aboard boating holidays from Poole Quay. 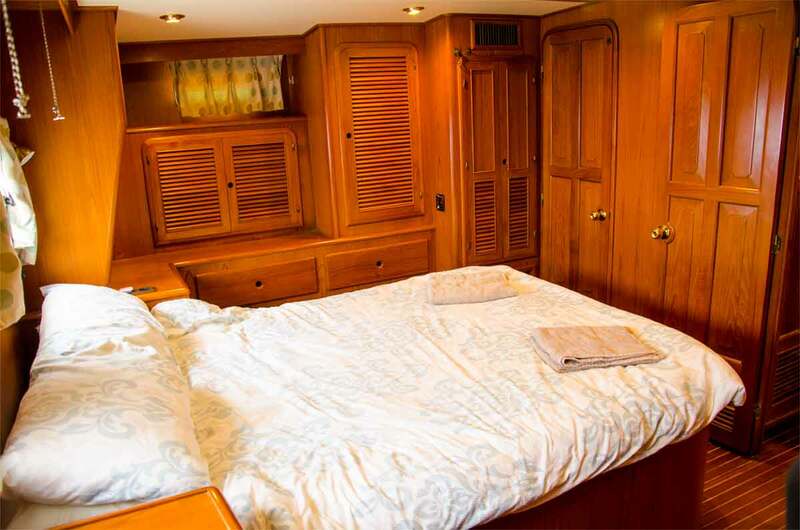 Calypso is a 50ft Trader Signature Motor Yacht - a Vessel built for safety at sea and renowned for sturdy luxury. 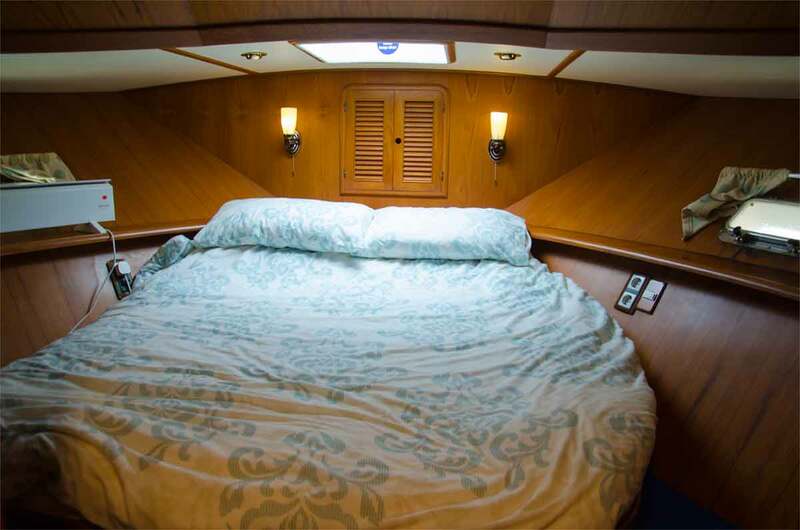 She has vast accommodation with 3 deck levels and an extremely wide beam. 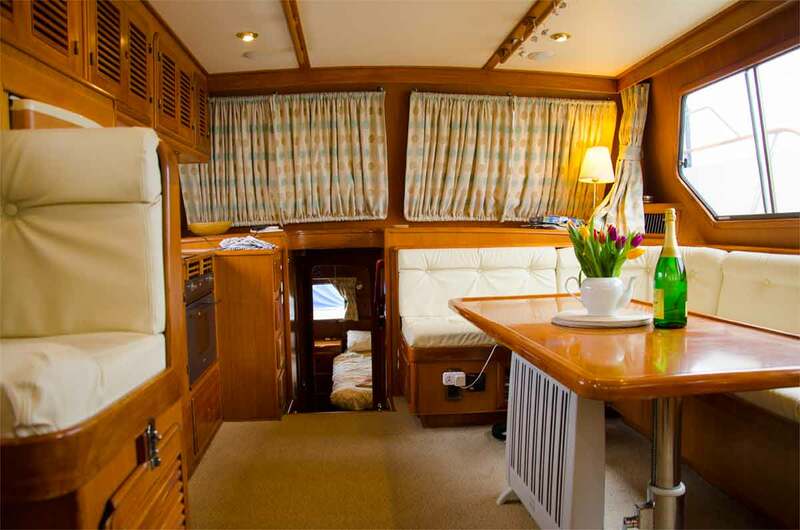 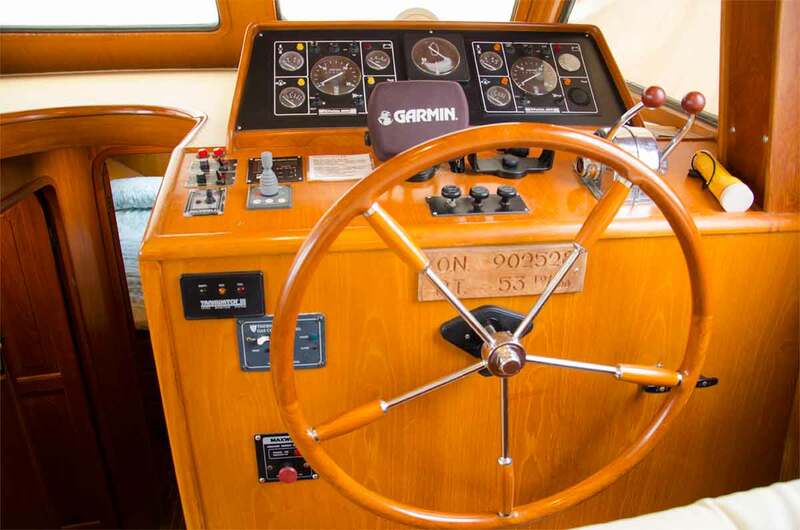 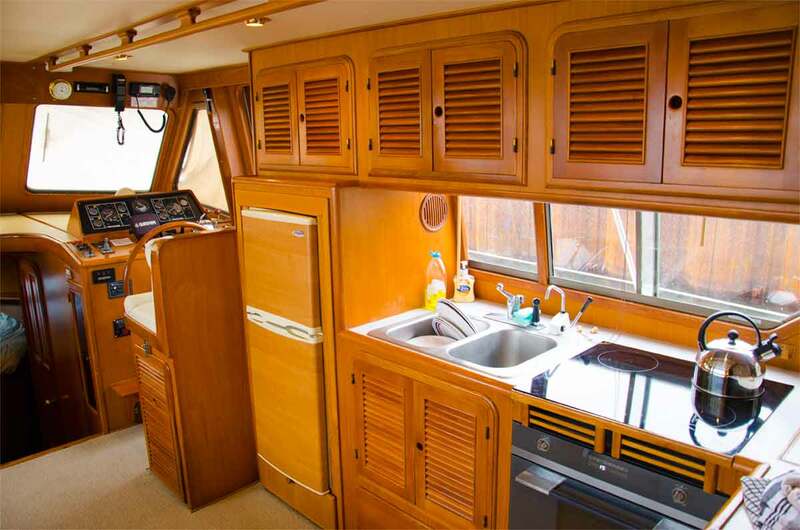 This means that she is very steady on the water and comfortable for guests whatever the weather and sea state. 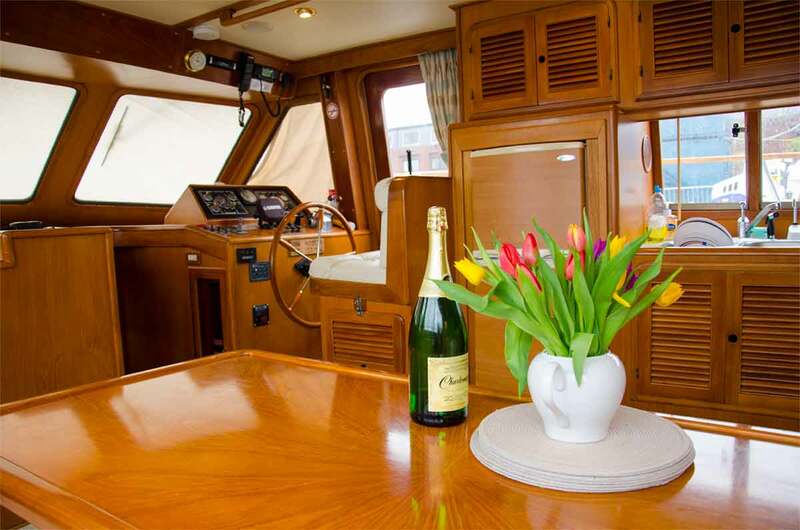 Hiring Calypso for your special day out or evening accommodation means you will be enjoying the benefits of the 'big boat' experience as you enjoy the spacious deck areas and roomy cabins. 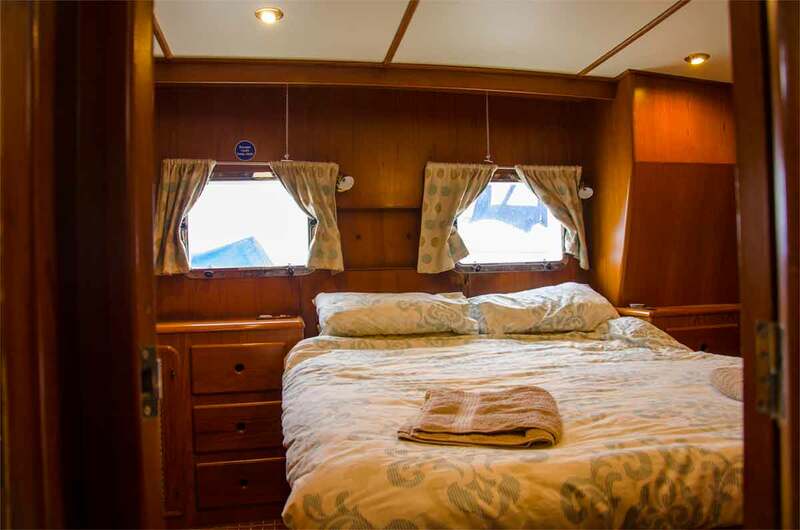 You can hire Calypso as a skippered charter and organise a day trip or, if you are staying aboard as overnight guests, you can take advantage of our discounted charter package included in your holiday pricing. 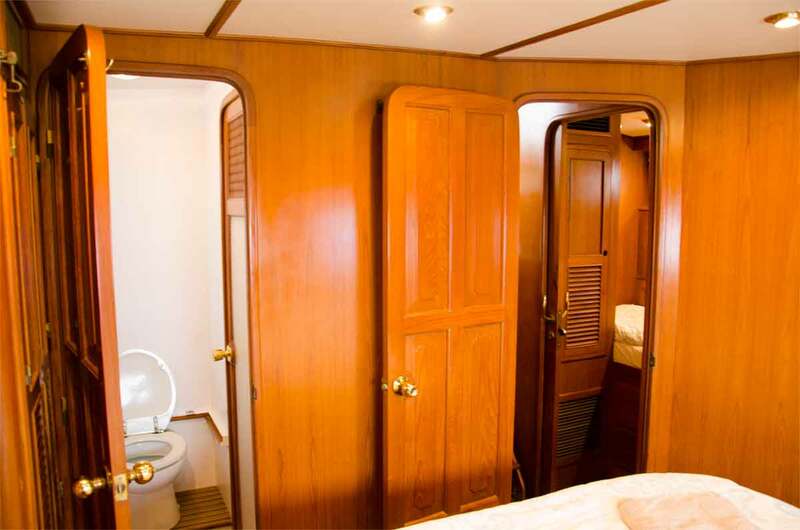 With 4 cabins (2 doubles, 2 singles and an extra bunk if needed) you can relax aboard- no need to find a Hotel! 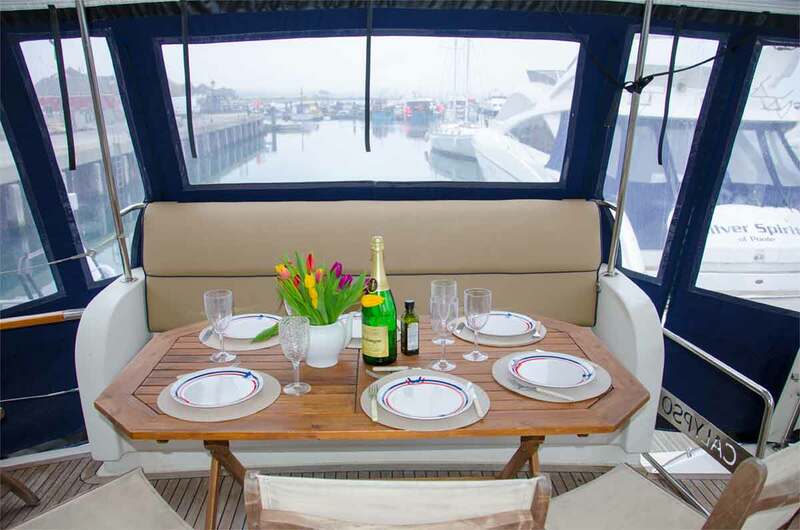 Our spacious deck areas can accommodate up to 12 people in comfort as we explore Poole harbour, Brownsea Island, Studland and the Jurassic Coast. 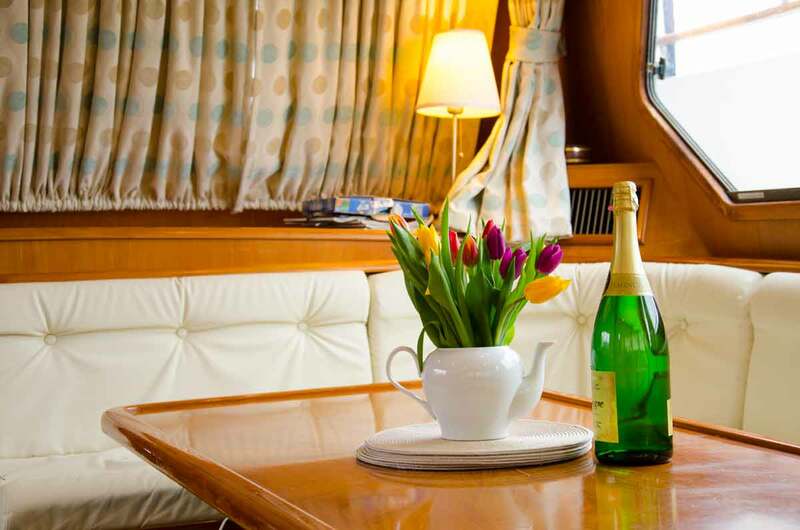 Join us on board for a complimentary glass of champagne before heading out for an unforgettable cruise.